HSSU offers programs designed to give our students a competitive edge in an ever-expanding global market. To learn more about how we create work-ready graduates, contact the HSSU Office of Admissions. Visit the campus via our virtual tour, then schedule an in-person visit. Located in the heart of the campus, the amphitheatre is a great location for student events, performances, and just relaxing with friends. Go to http://www.hornetsathletics.com to learn more about our gifted athlete/scholars and how you can become a part of our programs. HSSU graduates are recruited to major corporations and graduate schools seeking inviduals with strong problem-solving abilities and real-world skills. 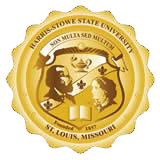 Harris-Stowe State University provides educational opportunities for individuals seeking a rich and engaging academic experience. We offer programs designed to nurture intellectual curiosity and build authentic skills that prepare our students for success in a diverse society. Welcome to the 2017 academic year, which marks 160 years of excellence in education! Our core principles are shared by students, faculty, staff, alumni, and parents. Click on any of them to learn what they mean. We believe that it is our responsibility to develop an individual’s intellect as well as an awareness of personal accountability for the decisions one makes and the impact of those decisions on others. We believe that being respectful of others is what drives successful relationships and that civility is an expectation rightfully held by all campus constituents. We encourage individuals to cultivate new ideas and approaches that improve learning and student, faculty, staff, and alumni experiences. We embrace diversity in all forms and champion the rights of individuals to respectfully share their unique perspectives within our University community. We believe that individuals contribute effectively when they are meeting or exceeding expectations of their community; therefore, we continuously strive to achieve excellence in all University activities.